After public attention and the news stories move on from a disaster and the help dries up, families and communities can be left behind, often worse off than they were before. Communities like Central Sulawesi in Indonesia. Just a few months ago their world was thrown into turmoil when a huge earthquake and tsunami struck, and they are still reeling and wondering how to rebuild their lives. Will you be there for them once everyone else has moved on? Will you help families heal and rebuild so they can experience life in all its fullness? *This is an example of how your donation could be used. It may be used in a different project where the need is greatest. 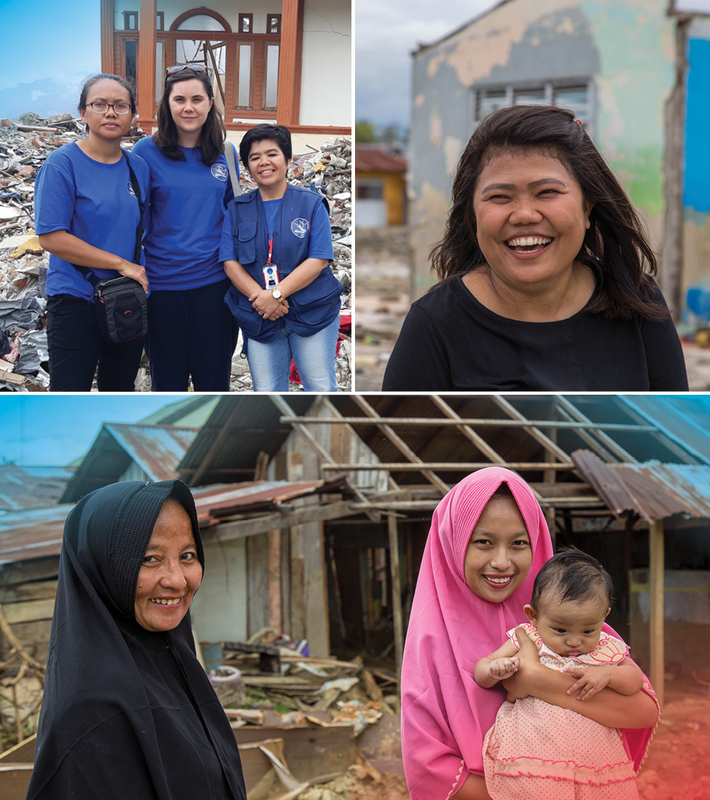 Rosie, one of Tearfund’s international programmes specialists, travelled to Central Sulawesi in February, four months on from the earthquake and tsunami. “I’ve seen a lot of devastation throughout the communities, but I’m really proud of the work that our incredible partner is doing out there. I can see the huge heart of compassion they have for those they serve. 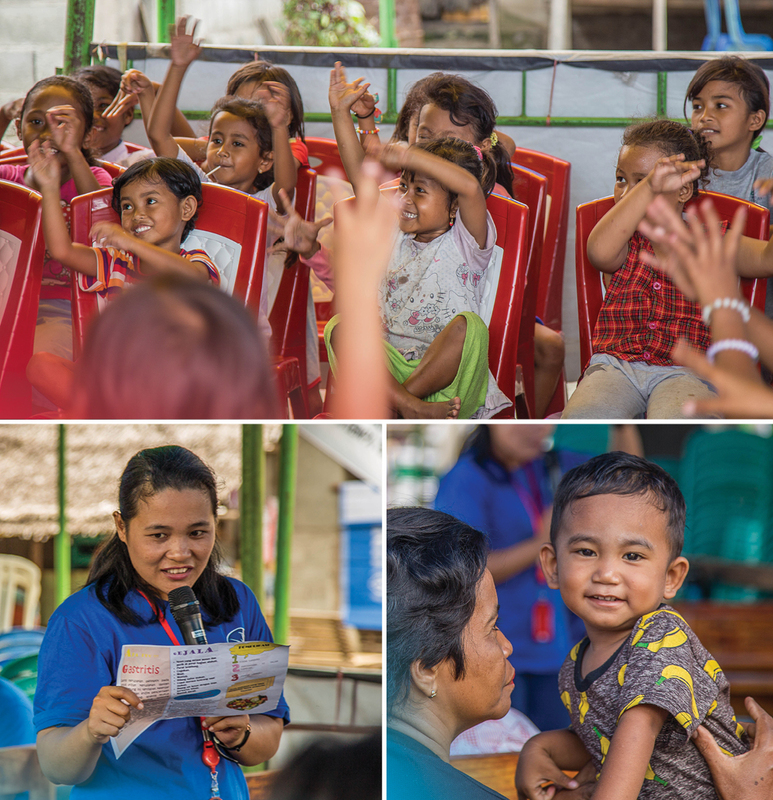 “One of the wonderful people I met was a young nurse named Selfiana, who works for our partner. On the day of the Earthquake she was nearly killed when the hospital she was working in collapsed. Instead of returning to her parents she worked to treat survivors day and night for three days. “The first time we tried to talk to each of the children, they became stunned, they could not speak and were crying because they couldn’t speak. Instead of asking them to tell what they saw, we gave them paper to draw and pour out their feelings. “When I saw their pictures my heart was broken, to see how the children experienced the disaster. Even me as an adult [who experienced this disaster here], I couldn’t bear it, it was too hard for me. I really pray and do my best, to erase the bad memories from these children. Your gift will help deliver a range of projects to help communities thrive again. God longs for them to have rich, full lives, not lives lived in chaos and fear. As it says in John 10: “I have come to give you life, and life in all its fullness”.